and Material Girls Quilts has cooked up some fun!! All through the month of December, it's true!! Thursday~(Dec. 1) buy any pre-cut get the second pre-cut 50% off. (equal or lesser value)Friday~(Dec. 2) buy 5 fat quarters get one free. Saturday~(Dec 3) Buy any 3 yards of the same fabric get 30% off. We will also be adding daily to our clearance section and feature a different sale or two each day! !See ya soon! Most of you out there know I hate to cook, bake, or anything that has to do with the kitchen!! I am not sure why....... if it is lack of recipes, never learned properly, or what but I hate it. I joke with my friends that my next house won't have a kitchen just a fridge and a microwave. But, all that has changed since being introduced to Pinterest and checking everyones pins, I WANT TO COOK!! Sheesh!! go figure! I was off today and decided to try a casserole, I have been cleaning and decorating for Christmas and wanted something fast. Welcome the cutting edge of ordinary blog!! 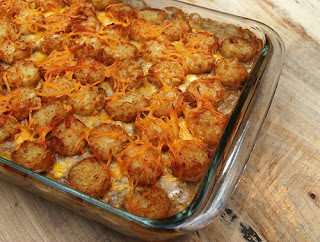 I tried her Cowboy Casserole and it is DELISH!! So I thought I would share it with you!! Black Friday! Black Friday! 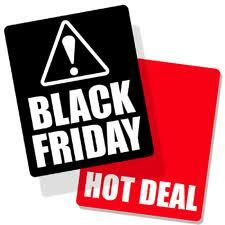 Thats right we are having Black Friday deals too!! The first 20 people in the shop will receive a fantastic surprise!! *Buy 5 fat quarters get 2 free! *Each hour something different will be announced with a discount!! 20-40% off, you will just have to be in the shop to hear our announcement!!!!! *We have taken more bolts to our clearance all marked from $2.99 and up. 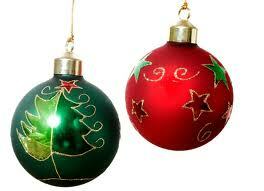 Sign up for our Saturday "Deck the Halls" event!! 6pm-10pm we will be making 3 fun Holday Crafts. $25.00 includes your projects, food and fun!!! Hope all of you are having a wonderful Thanksgiving! 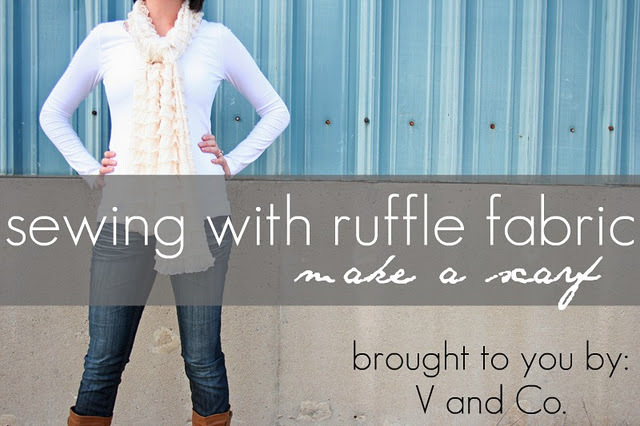 Ruffle Scarf Tutorial brought to you by V & Co.
We carry several different sizes and colors in the ruffle fabric, pinks, cremes, aquas, purples!! When I saw this cute scarf on Vanessa's blog I asked her if we could link her tutorial to our blog and here it is. Vanessa from V and Co is awesome, she is amazingly talented, cute and funny as heck!! I love what she comes up with. Shelby is in the process of finishing up her Houndstooth quilt which is so cute!! Hop over to Vanessa's blog and tell her we sent you. Vanessa thanks so much for sharing!! Come Deck the Halls with us!! 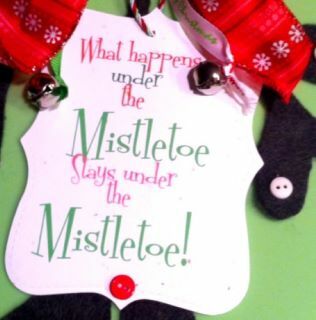 Come kick off the start of the Christmas Season with Material Girls first annual "Deck the Halls" make and take party. Bring your family and friends to this fun event. We will have several projects to chose from and lots of food and fun!!! $25.00 reserves your spot and 3 full projects. Lots of laughs and good times and you won't have to stand in the cold. Call the shop and reserve your spot as space is limited!! This is for Saturday November 26 from 6-??? Christmas Open House time again!! It's that time of year again!! "Material Girls Christmas Open House" The elves have been bustling about Creating, Cutting, &Wrapping all of our Holiday projects!! We will have lots of fun things that you can make for your neighbors, friends or yourself!! Find an elf anywhere in the shop, or on your receipt and receive a prize! or a discount! This is happening Friday November 18th and Saturday November 19th. 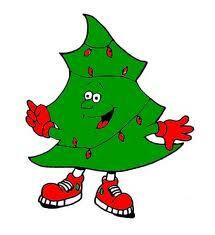 Wear in your "Christmas Sweater" get a prize!! Lots of FUN, GAMES & PRIZES!! *Entire shop is 10% off. *Clearance fabrics $2.99 and up.Lots more on sale!! Anywhere there is a big elf that line is on SALE!! Mark your calendars for our first annual "Black Saturday" kick off your Holiday's at our make and take "Deck the Halls" more details to follow soon! Lots of food and fun!! I am in awe of this girl, she is truly amazing and uber talented. I stalk her blog tatertotsandjello and just drool over every little thing she does. She shares amazing tutorials and I asked her if she would mind if I shared with you. 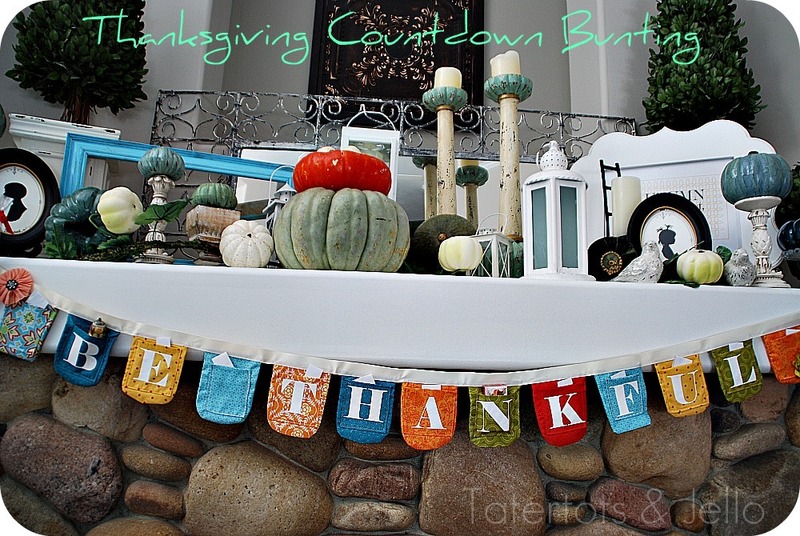 I love this banner and I am trying to talk Shelby in to helping me make this today!! I have all the fabric ready to go, I will share later with you my pic's. So, go grab your favorite can of soda, mine being my Dr. Pepper and hop over to Jen's blog. Be prepared to spend ALOT of time over there she is wonderful!! Thanks for sharing Jen!! 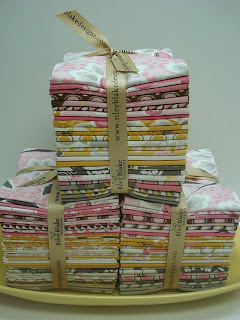 Lori Holt's new line "Daisy Cottage" is here!! 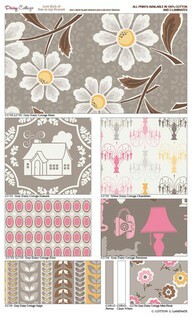 Grey's, yellows, and pinks make this line perfect for you next project. We have the entire line and all the pre-cuts, I can't decide what I want to make with this line but I have to have something out of it. I am thinking dresdens! Give the shop a call and we will get yours out to you today! 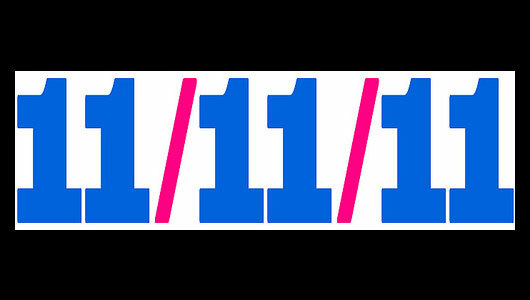 Come join us for our 11-11-11 Celebration!! Come celebrate this once in a lifetime event with us!! 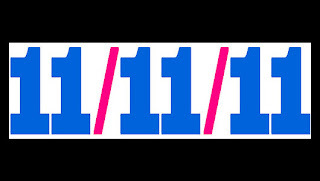 We are having a BIG ELEVEN party! On Friday, we are having some fun in the shop! *For every $11.00 dollars you spend get a Material Girls Buck to spend on future purchases. *Eleven prizes given away every hour. 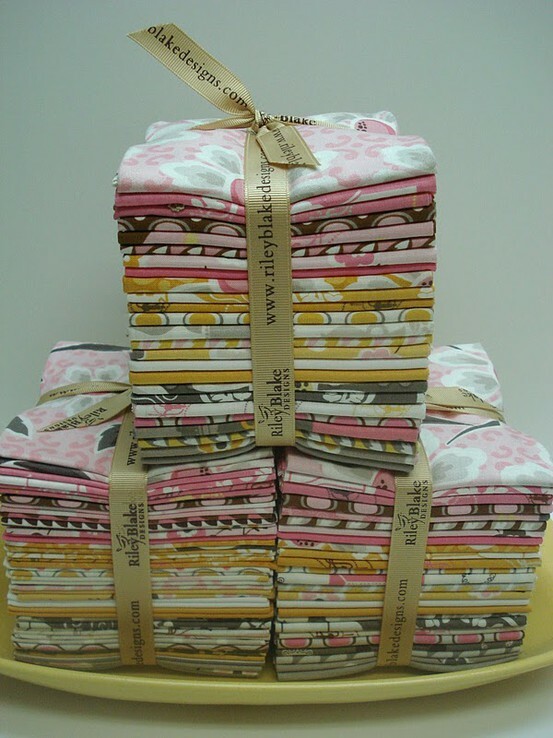 *Buy 11 regular priced fat quarters get 5 free. *11% off already marked clearance. *Get an 11 on your receipt and get a prize!! This is going to be so much fun!! 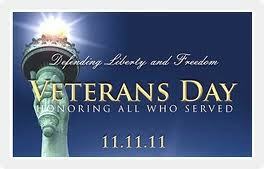 Stop by and see us celebrate this once in a lifetime day!! 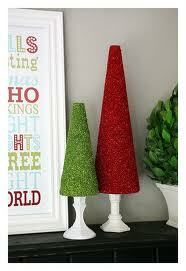 *Stay tuned for the announcement of our "Christmas Open House" and a "Deck the Halls" make and take night. You can also glue a round magnet into the yo yo to make a magnet instead of a push pin. 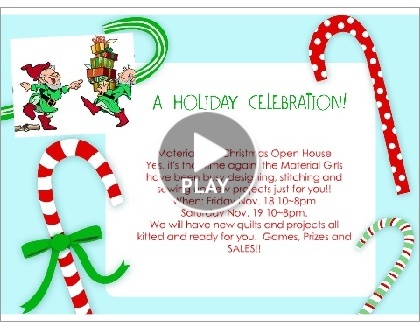 It is almost time for our annual "Christmas Open House" The Material Girl elves have been busy creating lots of fun, fast projects for you to make. They are so cute you might have to make 2 of some of them, one for you and a gift. Then this year we are trying something new, kind of like our "Ghouls Night Out" only better. It's called "Deck the Halls" What could be more fun than getting together with your crafty friends, eating and creating, and a lot of laughs!! Watch the blog or our Facebook page for more details. Wow! 6 years old. 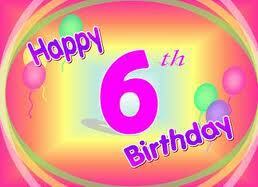 I can't believe that we have been open for 6 years. I really couldn't be celebrating this special day without the help of all of you. Thank you for all of your support and special friendships I have built over the last 6 years. You make coming to work "FUN" Tomorrow we are having a Birthday PARTY at the shop to celebrate so if you are in the area be sure and stop by for some fun!! When is too early for Christmas? I went to a late sew the other night and thought what a pain it was to pack up all my "tools" to take with. I wish I had a container that I could just through in my travel bag and go. After a little research and thinking this what will be in my travel bag...I am even buying stuff to just leave in here so I don't forget anything...like my seam ripper which is my best friend. fill jar with desired bits. These also make a perfect gift for those sewers in you life.